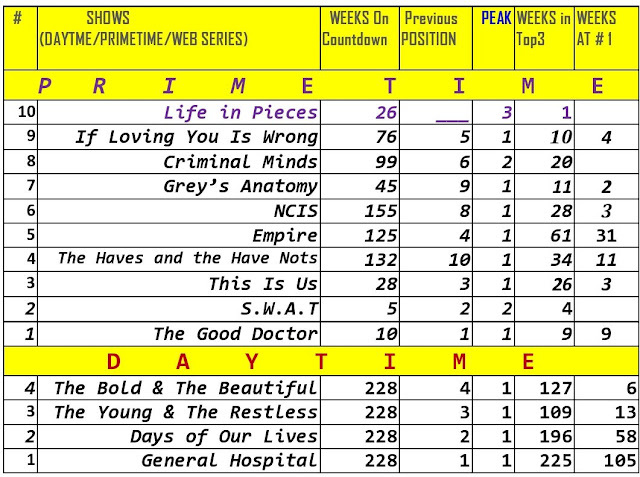 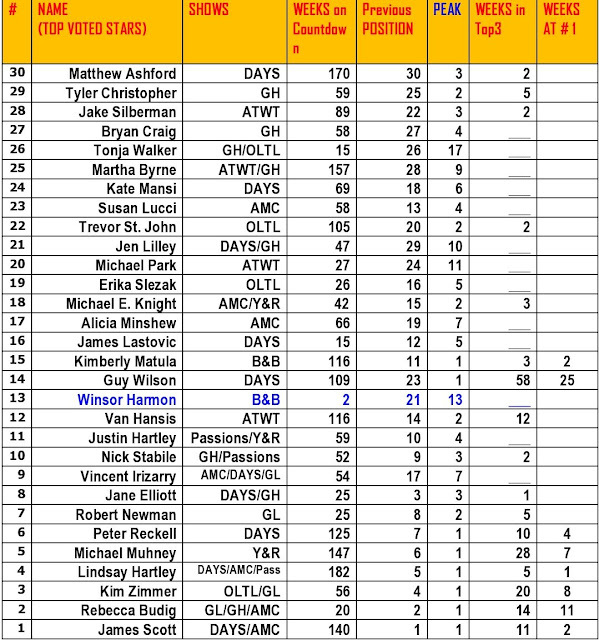 Soap Countdown Results for the Week of November 27 - December 1, 2017! TOP 30 MOST MISSED DAYTIME STARS! 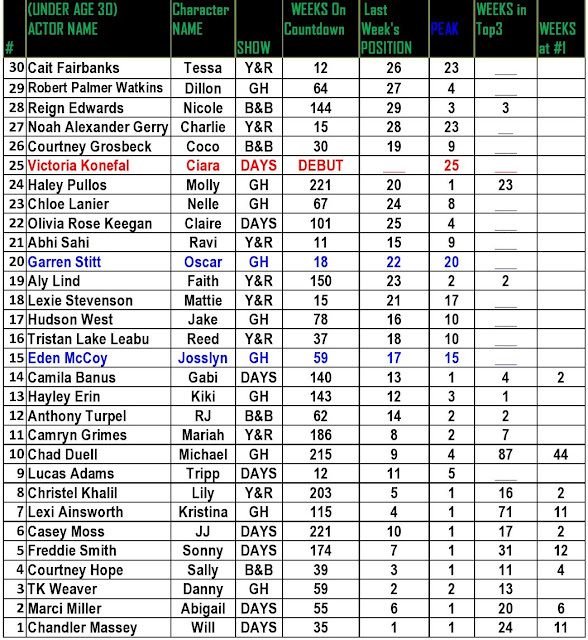 TOP 30 YOUNGER DAYTIME STARS! 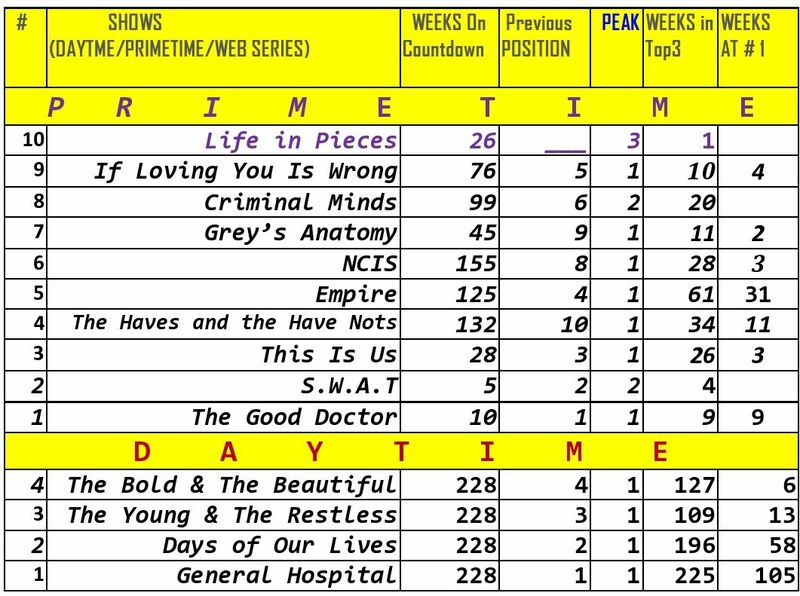 Soap Opera News: Soap Countdown Results for the Week of November 27 - December 1, 2017!